IMA Dairy&Food innovates the field by presenting six revolutionary and highly performing machines, destined to elevate the Dairy & Food standards. In 2017, IMA sets out to improve the standards of the Dairy and Food market by adding six new highly innovative machines to its selection. The revolution started in May at the Düsseldorf Interpack and will continue in November at the Gulfood Manufacturing in Dubai. The Dusseldorf Interpack saw the introduction of five new highly performing models, with new designs and sustainability features. 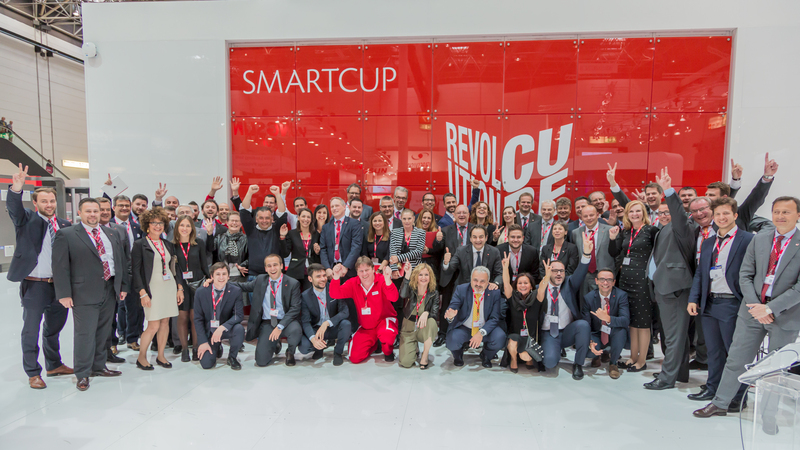 • SMART CUP represents a clear change from the traditional food packaging methods: flexibility and sustainability in an extremely compact size, with a highly innovative production process. • P100 is an efficient and flexible machine, designed thoroughly down to the smallest detail in line with IMA’s signature quality standards. • MULTIPACK 2000 can modify a product’s weight in less than 30 minutes. It is precise, compact and efficient. • ERMETIKA is the next generation pouch-filling machine, equipped with an uninterrupted non-destructive control system allowing in-line monitoring of welding integrity. • I20 is an entirely electronic packaging machine, ultra-fast, able to improve production standards thanks to cutting edge technology. Introducing, at the 2017 Gulfood Manufacturing in Dubai, GYRO CUP: a flexible and efficient innovative machine, designed to widen the IMA Dairy&Food selection. For further information on IMA new and innovative technologies in Dairy and Food market, feel free to contact us.